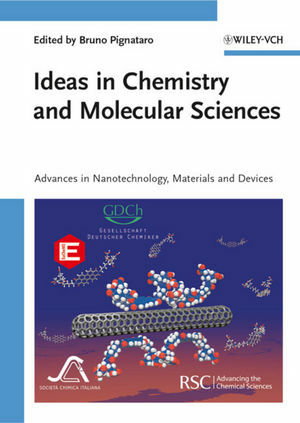 Written by some of the most talented young chemists in Europe, this text covers most of the groundbreaking issues in materials science. It provides an account of the latest research results in European materials chemistry based on a selection of leading young scientists participating in the 2008 European Young Chemists Award competition. The contributions range from nanotechnology to catalysis. In addition, the authors provide a current overview of their field of research and a preview of future directions. For materials scientists, as well as organic and analytical chemists. Bruno Pignataro, born in Bologna in 1972, is Professor of Physical Chemistry at the University of Palermo. He received his degree in chemistry in 1995 from the University of Catania and his PhD in materials science five years later. He has helped establish a wide network of international collaborations and organized more than 10 meetings at national and international level, including coordinating the Young Chemists Group of the Italian Chemical Society and chairing the first editions of the European Young Chemist Award. He is a referee for several leading chemistry and materials journals, has more than 70 scientific publications and some 90 conference communications to his name, along with several invited lectures. Professor Pignataro's research interests focus on the related fields of the physical chemistry of molecular surfaces and soft nanotechnologies.